MEXICO CITY, August 23, 2010 – To celebrate the Bicentennial of Mexico’s independence from Spain and the Centennial of the Mexican Revolution, Mexico has created eight commemorative tourism routes that pass through 100 different destinations and 17 states, highlighting the historical settings and emblematic monuments of the country. The routes can be covered between one week and 10 days and because of their circular paths, travelers can start from any point on the circuit. La Ruta de Morelos celebrates the life of the “Servant of the Nation,” Jose Maria Morelos y Pavon. Born in Valladolid and passing in San Cristobal Ecatepec, this route recounts the many miles that Morelos traveled in his five military campaigns, and during his civil and religious life. The route takes travelers through the emblematic sites of his career and the regions where he lived and fought, such as Acapulco, Taxco, Iztapa, Uruapan, Morelia Charo and Jantetlco, just to name a few. La Ruta de Guerrero y el Ejercito Trigarante recounts the life of revolutionary general Vicente Guerrero and his army as they fought against Spain for Mexico’s Independence. The route manages to gather key sites of the life and work of Guerrero and many of the places where army head, Agustin de Iturbide, carried out crucial military and political actions. The route welcomes visitors to travel to destinations where they can both discover the exploits of Guerrero, as well as the multitude of natural beauties along the path. The extensive route passes through Oaxaca, Santa Cruz, Huatulco, Acapulco and Veracruz, just to name a few cities. La Ruta de Hidalgo Norte retraces the footsteps of independence leaders Hidalgo, Allende, Aldama, Jimenez and their army, as they desperately attempted to reach the United States to buy arms and mount an offensive that never came. To travel this route is to travel the same distances and view the same scenery that these men did in Mexico’s fight for independence. This route passes through several important cities including Monterrey, Matehuala, Real de Catorce and Monclova. Although each route is special for several reasons, a “must-see” is La Ruta de Hidalgo Centro. This route celebrates the life of Miguel Hidalgo y Costilla, “the father of the nation.” Born in Costilla and executed in Chihuahua, Miguel Hidalgo y Costilla traveled heavily between these two locations in his struggle for Mexico’s independence. This historic route takes travelers through the states of Guanajuato, Queretaro, and Michoacan, which house many of the sites that represent his career as a priest, philosopher and military leader. Of particular interest is the city of Chihuahua, where travelers can visit the Palacio de Gobierno de Chihuahua (Government Palace of Chihuahua), where Hidalgo was executed by a Spanish firing squad. Today, the Altar of the Motherland stands in the exact spot where the father of the nation died, allowing visitors to step into Mexico’s history. One of the most important stops on this route is in the Guanajuato town of Dolores Hidalgo, which has been declared the “Capital of the Bicentennial.” Here, one can visit the church in which Miguel Hidalgo y Costilla delivered his famous “Grito de Dolores,” the battle cry of the Mexican War of Independence. Guanajuato is also the location of two much-anticipated parades on Sept. 16 and Nov. 20, celebrating Mexico’s Independence and Revolution, respectively. The site of the two major parades will be the new Expo Guanajuato Bicentennial, a park and entertainment complex named after the bicentennial, and host to several commemorative events. Tourists may also be interested in visiting the Casa de Allende Museum, the Museum of Dolores Hidalgo and the Alhondiga de Granaditas, which have all been remodeled in preparation for the bicentennial celebrations. Aside from Guanajuato, another bicentennial “hot spot” is Mexico City, the home of several commemorative locations such as the Palacio Nacional (National Palace), which houses murals by famed artist Diego Rivera, depicting important moments in Mexico’s rich history. Starting in August, the Palacio Nacional will be transformed into a museum, the Palacio Galeria Nacional, where visitors can enjoy an art exhibition dedicated to Mexico’s independence. The National Palace is also housing the bones of 13 founding fathers and one founding mother in honor of the bicentennial celebrations On Sept. 16, a military parade celebrating Mexico’s independence will take place through the streets of Mexico City, followed by an air show and a fireworks and pyrotechnic show at the Mirador Torre Latino Observatory. Mexico City is also the location of the Museo Nacional de Historia, a national history museum housed in the 18th century Chapultepec Castle. Other preparations in the country’s capital include a commemorative arch on Paseo de la Reforma, which will join El Angel de la Independencia in observing Mexico’s fight for independence. Although the country has been celebrating since the beginning of the year, the bicentennial will come to a head on Sept. 15, 2010, 200 years after revered Mexican hero Miguel Hidalgo y Costilla first rang the revolutionary bell that sparked Mexico’s independence movement. Across the country, cities will erupt into joyous festivities, celebrating what has truly been an exciting year for Mexico, one which also saw two new UNESCO World Heritage sites being added to the country’s already-long list. For more information about Mexico’s bicentennial and centennial celebrations, as well as the eight commemorative routes, please visit bicentenario.visitmexico.com. Please note that for non-Spanish speakers, the Web site may be translated into English using Google. With its humble whitewashed buildings and nearly deserted cobblestone streets, Mineral de Pozos (or simply “Pozos”) is hardly a place where you would expect to find a luxury boutique hotel. However, that is exactly what has taken root in the heart of this sleepy Mexican town less than an hour’s drive from San Miguel de Allende. 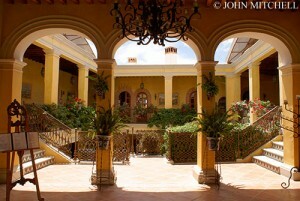 MERIDA, Mexico, Aug. 20 /PRNewswire/ — Being retired nowadays can be about more than playing golf or fishing. For John and Janet Luoma it’s about remodeling a colonial home in Merida and raising a forest in the southern part of the State of Yucatan in Mexico. The Luomas, from Stillwater, Minnesota, started their adventure in Merida by renovating a colonial home to use for retirement. But John, who grew up on his father’s farm and was a Peace Corps volunteer in Latin America, decided he needed something more to keep him occupied. The Luomas are now the proud owners of “Aguada La Celosa,” their 1,300-acre ranch in southern Yucatan. With the help of a Mexican national agriculture organization, CONAFOR – Comision Nacional Forestal, John and Janet have started a reforestation project on their ranch. “CONAFOR, the Mexican National Forestry Agency, approved us for a 60-hectare reforestation project. It allows us to plant forest and crops together. Research done by CONAFOR shows that dual cropping works well in the Yucatan and promotes economic and environmental interests. “The CONAFOR project is now underway! We are working with the engineers to establishing a nursery, preparing the seed bed and planning the first crop of calabaza (squash). There is a tremendous advantage of raising trees and calabaza together as they require limited amounts of water. This is the dream of a lifetime, a chance to make some money and watch this beautiful forest grow,” says John, smiling. WASHINGTON, Aug. 18 /PRNewswire-USNewswire/ — An estimated 10+ million people live in the U.S. illegally. From the controversial border fence to controversial immigration laws, illegal immigration is hotly debated. For those responsible for securing our borders, protecting our nation goes beyond politics, as they intercept daily an illicit flow of narcotics, money and weapons. The risks have never been higher, with the violent Mexican drug wars a stone’s throw from U.S. soil and criminals armed with increasingly sophisticated technology. Premiering with a sneak preview Sunday, August 29, 2010, 9 p.m. ET/PT before moving to its regular night and time, Wednesdays 9 p.m. ET/PT, on September 1, Border Wars returns for a second season with 16 episodes of real-world pursuits, surveillance, interceptions, busts and rescue missions at some of the busiest and most dangerous border crossing points into the U.S., including in California, Texas and Florida. Ride shotgun with agents patrolling the Rio Grande, just across from the epicenter of violent cartel wars, where heavily armed criminals outnumber agents. See how ground and air units use the latest military-grade technology, including drones, thermal imaging and mobile cameras. And join agents as they raid stash houses to break up smuggling operations, or risk their own lives to save those close to succumbing to harsh weather and terrain. And, go behind-the-scenes as agents secure Super Bowl XLIV against terror threats, while patrolling Miami for human and drug trafficking. A young man drowns crossing the Rio Grande, and agents must identify him to return his body to his family. Next, agents target a human smuggling operation and raid a safe house. And inspection of a bell pepper shipment finds invasive snails that could destroy thousands of acres of U.S. cropland. An 18-wheeler carrying 1,000+ pounds of concealed marijuana is discovered by a rookie agent and his canine partner. Meanwhile, a group of illegal crossers takes agents on a four-hour chase and it’s going to require local ranchers and a thermal imaging camera to catch them. An Ecuadorian woman and young daughter — injured, dehydrated and famished — are rescued in harsh terrain after being abandoned by smugglers. At the border checkpoint in Hidalgo, Texas, a car is found to have hidden firearms. Members of BORTAC, the tactical unit that specializes in smuggling routes, discover what could be a remote transfer point for illicit goods. The team hopes to close on an active operation — if they can avoid detection by cartel scouts. Officers dismantle a hidden compartment in an SUV, and confiscate $600,000+ of crystal meth. For more information, visit natgeotv.com/borderwars. THE CANCUN CVB PROMOTES INTERNATIONAL WHALE SHARK DAY THROUGH SOCIAL MEDIA WITH GIVEAWAYS INCLUDING A TRIP FOR TWO! Cancun, Mexico – In an effort to promote International Whale Shark Day and the importance of preserving the unique species, the Cancun Convention & Visitors Bureau is giving away two roundtrip tickets to Cancun, hotel accommodations and the opportunity to swim with the whale sharks, via social media outlets. To enter the contest, the Cancun CVB is encouraging social media users to become fans of their Facebook page at: www.facebook.com/cancuncvb. By “LIKING” the page, new fans will be randomly selected to receive a signature Cancun CVB stuffed Whale Shark in honor of the largest fish in the world. Participants are then automatically entered to win a trip for two to swim with these gentle giants. Once they receive the Whale Shark, all they need to do is submit a funny and unique photo of their stuffed Whale Shark and post it on the Cancun Facebook page; the person who submits most original and unique photo will win. The winner, who will be announced on August 30th, which is also International Whale Shark Day, will receive a 4 day, 3 night trip for two to Cancun with roundtrip airfare and accommodations included, as well as the chance to swim with these gentle giants during Whale Shark Season; all of this, courtesy of Apple Vacations and the Cancun CVB. The winners will be selected on August 30th. Whale Shark season officially started on May 15th. But, these harmless animals that reach lengths up to almost 50 feet, feed on plankton and pass through the Caribbean waters through the month of September. The Whale Sharks impressive size and ample mouths extend approximately 5 feet, making swimming alongside these species a thrilling experience. A hands-on encounter with the marine world is even more attainable in Quintana Roo—home to the largest barrier reef in America, the Mayan Reef. The diverse marine life, crystal clear turquoise waters and stunning underwater coral formations make Cancun the ideal destination. Cancun is located in the northern part of the southeastern Mexican state of Quintana Roo. It is Mexico’s number one tourist destination and is known all over the world for its spectacular beaches, unique beauty and breathtaking turquoise waters. Cancun’s shoreline recently underwent a $71 Million Dollar makeover, that featured 1.3 billion gallons of sand to renovating the Hotel Zone’s seashore. The most popular tourism destination in Mexico and Latin America has also added to its sun, beach, and nightlife, by creating a unique five-day route that will offer visitors a chance to experience adventure and interaction with nature. Cancun and the Treasures of the Caribbean invite travelers to discover the vast natural, cultural and gastronomical cultures of Puerto Morelos, and the four islands of the Mexican Caribbean: Holbox, Isla Mujeres, Contoy and Cozumel. Cancun is a multifaceted destination that combines nature, historical Mayan Culture, glamour, luxury and world class tourism with the seduction for adventure, the passion for paradisiacal nature and the enchantment of gastronomical magic. For more information, visit the Cancun Convention and Visitors Bureau website at: http://www.cancun.travel/. During the Dialogues for Security organized by President Felipe Calderón on Monday and Tuesday to meet with civil society and experts and specialists on the issue, some of the participants put forward arguments regarding the advisability of legalizing certain drugs. A propos of this, the President simply took note of the arguments in favor of legalizing drugs, adding that the pros and cons should be analyzed in depth during this debate. The Mexican president said that legalizing drugs in Mexico could make Mexico pay all the negative consequences of this modification in the legislation and receive very few positive results in exchange. President Calderón said that several generations of young people would be at risk due to the foreseeable increase in the consumption of these substances as a result of their legislation. 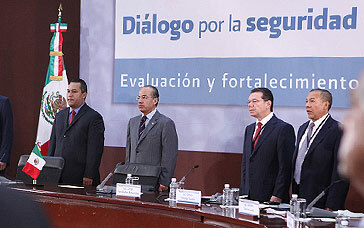 Therefore, despite opposing the legalization of drugs, President Calderón does not oppose the debate on this issue. PALMA DE MALLORCA, Spain, August /PRNewswire/ — ME Hotels, a collection of “experience-based” urban hotels and contemporary resorts operated by Sol Melia, announced today that the brand’s Cancun property, ME Cancun, will shift to an all-inclusive business model as of January 1, 2011. ME Cancun will embrace the brand’s first “Complete ME” concept, which will break the mold of traditional all-inclusive resorts where non-guests are prohibited access to the property grounds and amenities. In addition to welcoming hotel guests, this revolutionary and industry-first business approach will embrace non-guests and local movers and shakers, allowing them to enjoy the property’s a la carte culinary offerings and revel in ME Cancun’s high style design and vibrant social scene. Following the success of Sol Melia’s all-inclusive Paradisus Resorts and adapting to the Cancun market, where all-inclusive properties thrive, ME Cancun’s 419 rooms will now allow its guests to choose from an array of packages part of the new “Complete ME” concept. The hotel’s basic offering will focus on traditional amenities found at all-inclusive resorts, such as unlimited food and beverage options, complimentary access to the pool, YHI Spa’s fitness center, “Chill Out Deck,” “The Beach Club,” the property’s WiFi and all in-room amenities including iPod docking stations, Aveda organic products and house mini bar. Guest rooms on “The Level,” the hotel’s premium collection of accommodations, will offer elevated privileges and amenities that will be part of “The Level” package. Here, guests will enjoy services such as private VIP check-in, exclusive use of the 10th floor’s “Living Room” lounge, exclusive concierge services and 24 hour in-room dining at no extra cost. The resort’s numerous restaurants & bars will remain unaffected with the transition to the new concept. Guests will be able to enjoy dining services from food and beverage outlets including Salt, Beachhouse Restaurant, Silk, e-space, in-room dining and The Water Grill, an Argentinean-style grill that will debut alongside the new model. Additional services such as private “barefoot dinners” on the beach, premium high-energy pool parties with special performances by guest DJs, treatments at the 11,000 square-foot YHI Spa and top-shelf liquor products, among others, will be available for an additional fee. Unlike most all-inclusive properties where a bracelet identifies hotel guests during their stay, ME Cancun will offer a proprietary identification system allowing all outlets to quickly identify guests. ME properties in Cabo, Madrid and Barcelona will not adopt the “Complete ME” approach and will remain operating on an European Plan (EP) basis. ME hotels are contemporary interpretations of the Melia experience. It is a brand which seeks to fuse innovative style with local flavors in order to captivate travelers of a common psychographic – those with a decisive taste for cutting-edge art and design, international cuisine and world music – rather than a common demographic. By capturing these elements in urban and resort destinations, in hot spots such as Barcelona, Cabo, Cancun and Madrid, this new philosophy ignites a passion in each guest while appealing to their senses and emotions. The experience is unforgettable. Learn more at www.mebymelia.com.